The girls played Peel Common this warm afternoon, coming away with a strong win. We went to Peel Common with seven girls a mixture of Year 6s and 5s with no subs. This was due to several Year 6s at their transition day. 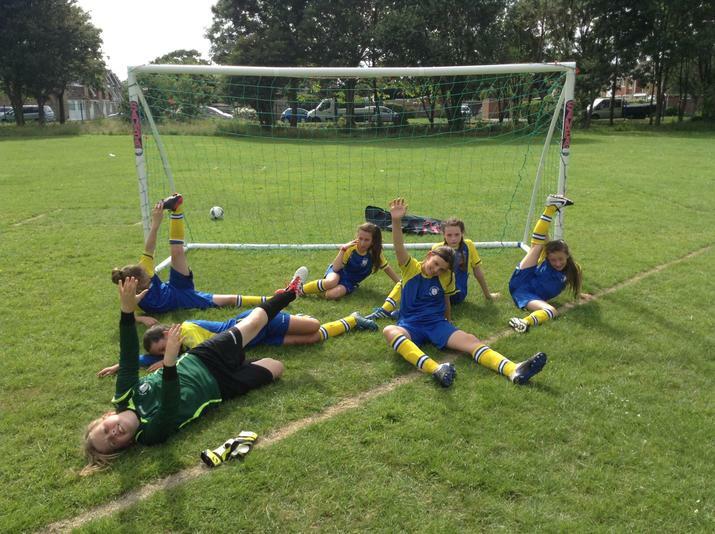 This resulted in the girls having to play both halves of the game in the afternoon heat. They worked extremely well as a team calling for the ball and using the space available. There were some decisions made by the referee that were certainly questionable. However, due to St. Mary's persistence and team spirit they overcame this. 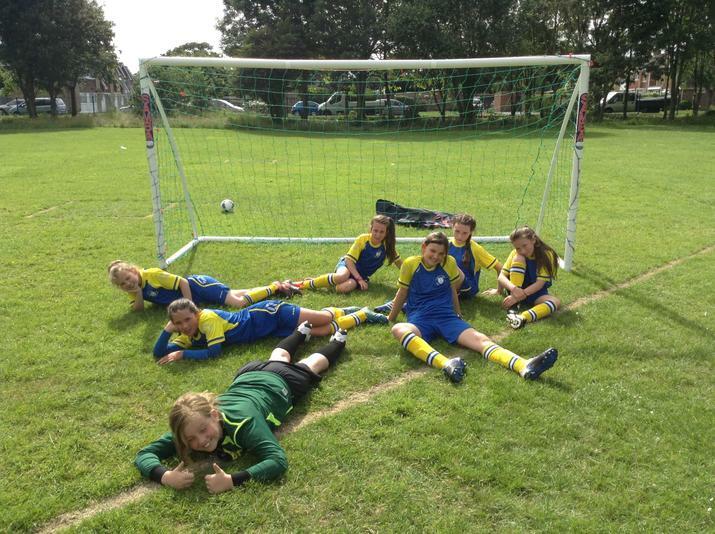 St. Mary's Girls left the game closer as a team, they had really relied on each other throughout it, and as can be seen in the photo had put all their effort into the game! Final score one nil to St. Mary's Girls.